I love happy surprises. And this was a happy surprise, indeed. 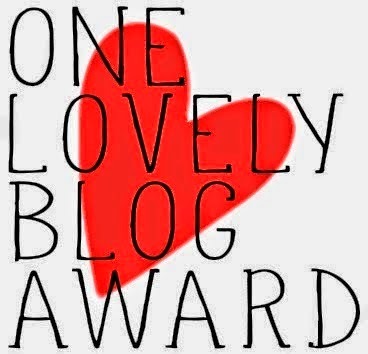 I was nominated for the One Lovely Blog Award by the lovely Farin, from The Newest Vasquez's. Farin writes about her newlywed life with her husband, Tom, and their life in New York City. Thanks, Farin. 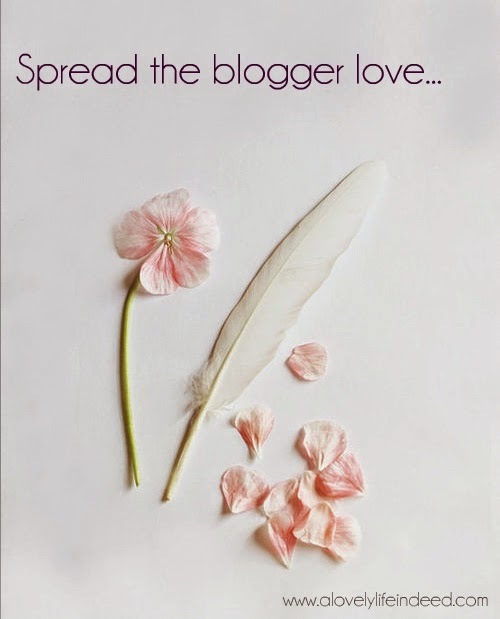 I'm happy to spread the blogger love. You should display the award logo at the top of your post. You should add these set of rules to your post so that your nominees will know what to do. 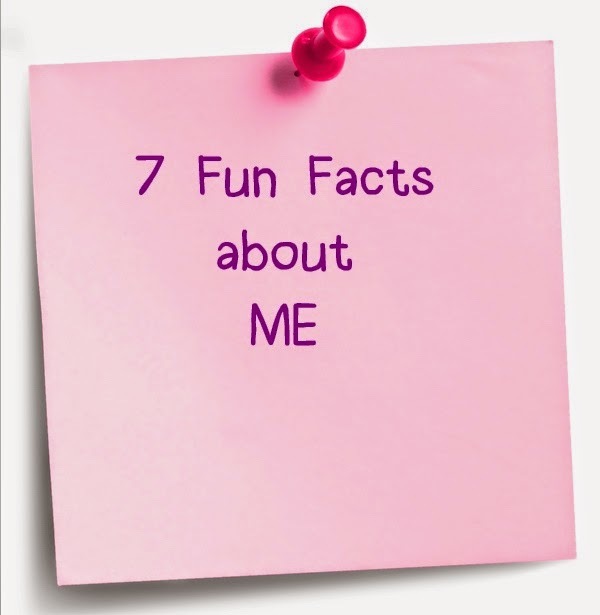 You should add 7 facts about yourself into the post. You should nominate 7 other blogs and leave links to each of them in your post. You should let the people you have nominated know that they have been nominated. I became scuba certified to be able to go shark cage diving. I went with a group of 8 off the coast of Rhode Island and no sharks showed up...even after hours of chumming the water. Over 8 hours at sea and not a bite. Pun partially intended. I hate green beans...I even pick them out of canned soup. Yuck! I was a sleepwalker into adulthood. My favorite holiday is New Year's Day. I love fresh starts. When I was in my 20s, I thought I wanted to be a midwife and studied midwifery for almost two years. I would love to find a way to write full time...just not sure where to start with a freelancing gig. I would also love to get into voice over work. Same problem as with #6 though...not sure where to start. Be sure to visit these lovely ladies who are sure to inspire you and make you smile. What a cool award. 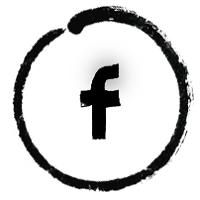 Its also a great way to learn more about the person behind the blog. Love number 4. Already looking forward to a new year and new beginnings in so many ways. Thank you, Bianca. I thought it was a lot of fun too. Happy holidays to you! Thank you so kindly Kelly Rodriguez! I'm certainly not so exciting as you, but feel ok about that too, and and appreciate your thoughtfulness! I would love to read your facts, Peggy. :-) There is excitement in the everyday. And you have that. And so do I. Life is good. Thank you! That is so sweet of you! Scuba diving would be so fun, bummer though you didn't see any sharks. That is the weirdest sentence ever!! Haha! Part of me would love to go again. But the other part of me wrestles with the ethics of it. So probably not. Thank you for nominating me Kelly. It definitely made my day. :) There's so many things I've never known about you. You're so adventurous and I can definitely picture you shark hunting. Thanks for the nomination! How come you decided not to be a midwife? I have gone scuba diving once and had fun but I'm not sure I'm brave enough to swim with the sharks... maybe someday! I guess I realized I didn't want to be the one in charge. I took the doula course as well, which was wonderful. It's amazing, but it just wasn't for me as a profession. That midwifery book you read looks good! I read Midwives by Chris Bohjalian, but didn't like the ending. Stay dry! It's awful out there today.